Neverending fun is guaranteed with our Monster Truck Games! 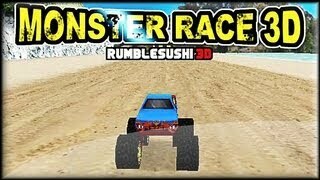 The best monster truck free games are waiting for you at Miniplay, so 3... 2... 1... play! Tackle all sorts of obstacles using your unique dino vehicle skills. Rescue your friends, help them survive across a volcano and put your courage to test! Step on the gas and get ready to dodge obstacles with your monster truck! Upgrade your ride and pay attention to the coins in your way! How far will you get? Get on your monster truck, step on the gas and overtake! Put your reflexes to test, do the most amazing tricks and be the first racer to cross the goal line. Move around the most amazing landscapes in a monster truck. Control its powerful engine to collect as many stars as you can dodging the obstacles. Try not to make it overturn and reach the goal! Remember you'll unlock bigger and better trucks as you make progress! Drive a monster truck as fast as you can and clear every mission in each stage! Reach the goal dodging the obstacles in your way and overtake your rivals! Get ready to step on the gas and put your skills to test! 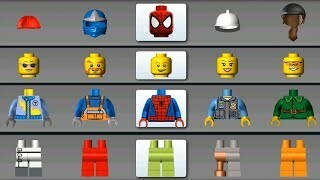 Collect stars in each stage and complete all kinds of tricks and stunts around amazing 3D stages. Get enough money to upgrade your vehicle and have fun! Get in a huge monster truck and be ready to defeat your rivals in this unique race through obstacle-packed stages! Step on the gas and aim for the goal line! Step on the gas and be the first player to reach the goal in this monster truck race! Collect coins, power-ups and gas tanks, overtake your rivals and climb the score rankings! Fasten your seatbelt and get ready for the monster truck races! Do all kinds of tricks, collect coins and try to win! Upgrade your vehicle and unlock the achievements! The Earth is about to explode, and Dr. Brainz needs your help! Steer your transforming SUV and face the most difficult stages. Gather the items you need to build the Magma Stabilizing Machine. Drive, transform, shoot, fly and drill your way through the 60 stages. It's time to trucksform! 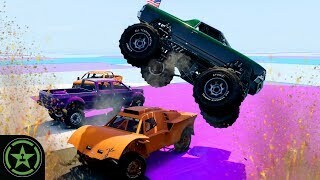 Enter the world of monster truck races! Put your driving skills to test, dodge obstacles and try to stay first. Have fun! Customize your truck with dozens of items! Purchase several kinds of tires, weapons and upgrades that will help you crush your enemies in a thrilling race. This impressive racing game is loaded with obstacles, weapons and action! Race around several tracks and face other drivers. Prove your steering skills and obliterate your rivals in order to win the race! 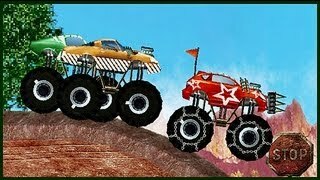 Drive an amazing monster truck and try to reach the goal without losing your balance. Try not to end up upside down! Prove your driving skills and cross the line before time's up. Steer your monster truck and complete the way to the rescue chopper in as little time as possible. Speed up and enjoy along a wonderful 3D scenery! 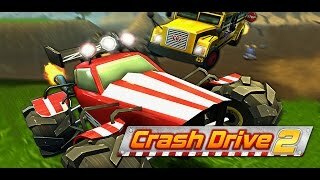 Drive this amazing monster truck and race along the tracks dodging all the obstacles in as little time as possible. Drive a car that is ready for the battle. Aim with its cannon, get rid of the dangers you encounter and jump to avoid the traps. Speed up and reach the goal! Do you feel like jumping and crusing in a monster truck? Tackle all the obstacles in your way! Complete the tracks controlling the power of your vehicle and beat all twelve levels. As you make progress, the game will get more and more difficult. This monster truck is loaded with nitro and ready for the show! Do the most amazing tricks on all kinds of ground at max speed. Test your patience by controlling a powerful monster truck. Finish the tracks as fast as possible, but crushing every obstacle you find. Start your engines and feel the adrenaline in your veins driving a monster truck and performing incredible tricks. Try to beat your adversaries' scores. 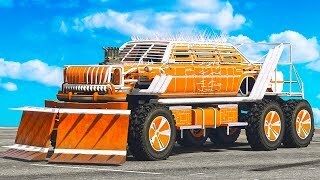 Pimp your ride at your will and finish the quests to unlock new accessories for your monster truck. Can you take control over a monster truck? Choose the one you like and win every race with amazing overtakings and jumps. Choose your favorite monster truck and win in these three tracks. Double fun one or two player mode available! Drive this enormous and resistant monster truck and endure on all kinds of tracks full of obstacles. Finish the laps in as little time as possible. Go along every track tackling the obstacles in as little time as possible. Spend on upgrading your car and unlock the achievements with your tricks. Start your monster truck and smash the cars you find in your way. Do incredible combos by destroying one car after the other. Design your own monster truck and take part in a frantic race. Unlock every track and extra vehicle. Make the best time! 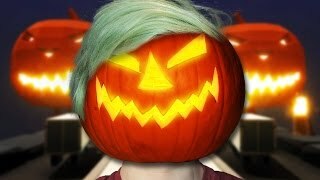 Drive your truck on Halloween, pick up candy and tackle all the scary obstacles. 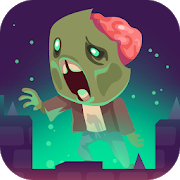 A wave of zombies is coming to your shelter. Arrange towers and barricades tactically to stop them! Get home before it gets dark! Fortunately, you're in your monster truck, so traffic jams aren't a problem for you. Set the ramp, choose the right car, click the left-click button when the light is green and enjoy the mayhem! Extended Flash Demo Drive a monster truck through eight different levels and do the best time. Collect nitro and press the space bar to use it up. Complete these new levels driving a monster truck. Do awesome jumps and aerobatics! 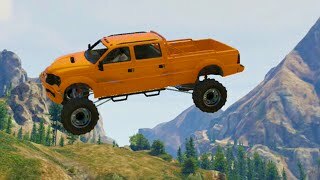 Crush cars and do incredible jumps in your monster truck. Drive your monster truck as fast as you can without losing control. In this third installment you'll have to complete every mission with your monster truck to unlock the next level there are 32 of them! Choose the monster truck you prefer and take part in a competition this is pure adrenalin! Destroy this monster truck army before they enter the city. Drag them with your mouse and crush them against the floor.